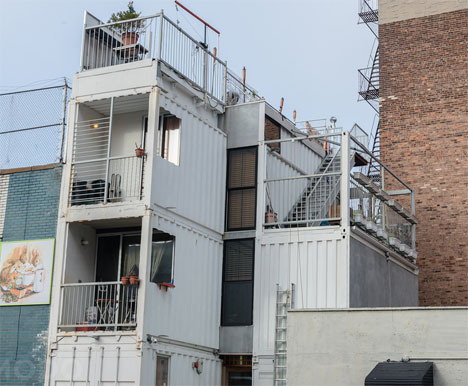 A tiny slice of real estate in Brooklyn is now an affordable, low-impact multi-level residence made of five stacked and renovated shipping containers. 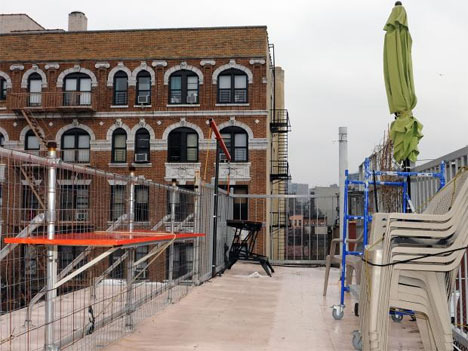 Williamsburg couple Michele Bertomen and David Boyle bought a 6×12-meter lot that had been vacant for 60 years, squeezed between two brick buildings. Conventional building materials would have stretched their budget, so they set out to design and build a shipping container house with a total cost of just $50,000 (not including the lot). That price is unheard of in New York City, and it took a lot of innovation – with more than a few bumps in the road – to make it happen. Getting the right permits took ten months, with city officials repeatedly requiring changes to the couple’s plans. Luckily Bertomen is an architect and Boyle a contractor, saving them a lot of money. Once the plans were done and the materials acquired, it took just a few hours to put it all together. 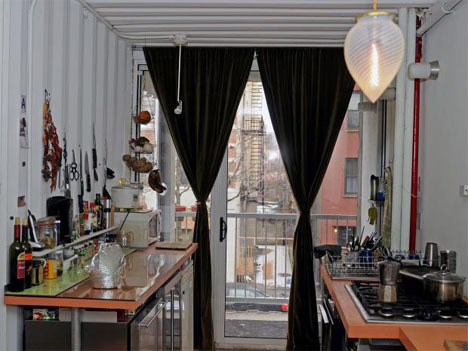 The shipping containers were purchased for $1,500 each and once assembled, create an interior space measuring nearly 1,600 square feet. The container walls are insulated with Super Therm, a paint that contains ceramic particles, and the home is heated with radiant heat that runs through the concrete floors. Believed to be the first shipping container residence in New York City, the house features multiple outdoor areas (including a private porch for the couple’s dog) and a roof terrace. 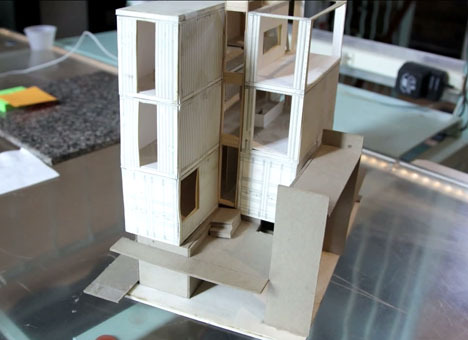 See a complete tour of the interior at Inhabitat and DNA Info.